What a December this has been! My birthday has come and gone, but the celebrations aren't over. There's so much to be thankful for. And adding to the list is being Chick Flick's Chick of the Month for December! I'm always extremely thankful whenever I get recognized for my blog or anything else I am passionate about. 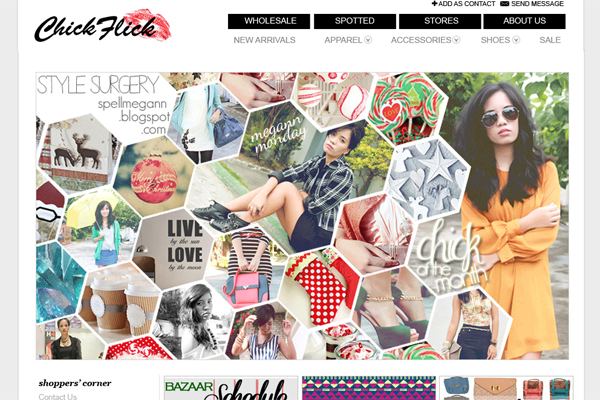 So, if you have the time, please do drop by http://www.chickflick.ph and check out my banner there. Yay! Every time I wear something from Chick Flick (see looks here), I always get asked about where I got it from (shoes, bags, blazers, etc). Now you have the chance to own something from them too! and then proceed to the additional steps if you want additional entries. 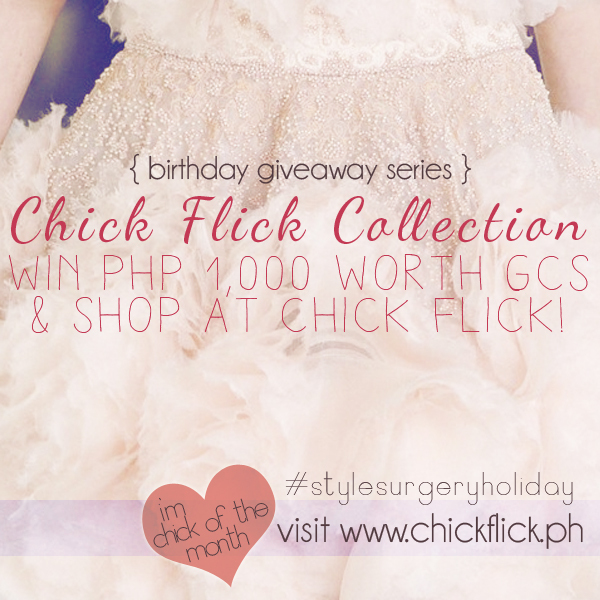 NEW giveaways launched every week this December for #STYLESURGERYHOLIDAY! i love the Messenger Bag BG0030-D. cuteeee! I want the Messenger Bag BG0030-D! I love the black peplum dress (D1115)!!!! !